Leading Wholesale Distributor of atazanavir sulphate and ritonavir tablets, efavirenz emtricitabine and tenofovir disoproxil fumarate tablets ip, isentress tablets, tenofovir disoproxil fumarate emtricitabine tablets ip, tenofovir disoproxil fumarate lamivudine and efavirenz tablets ip and abacavir & lamivudine tablets ip from New Delhi. 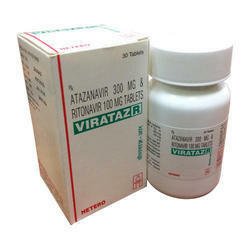 Aznavour R Tablet is a medicine that is used for the treatment of Hiv Infections, Salvage Therapy In Patients With Drug Resistance, Hiv, Aids and other conditions.Anzavir R Tablet contains Atazanavir, and Ritonavir as active ingredients.Anzavir R Tablet works by inhibiting maturation of virus in the cells; preventing a virus from multiplying inside the body;Detailed information related to Anzavir R Tablet’s uses, composition, dosage, side effects, and reviews is listed below. The following is a list of possible side-effects that may occur from all constituting ingredients of Anzavir R Tablet. This is not a comprehensive list. These side-effects are possible, but do not always occur. Some of the side-effects may be rare but serious. Consult your doctor if you observe any of the following side effects, especially if they do not go away. How it worksEmtricitabine prevents the multiplication of HIV virus in human cells. Thus stops the HIV virus from producing new viruses. Isentress 400mg is known as an integrase inhibitor. (&nmp) It blocks the virus from growing and infecting more cells. It is an antiviral medicine that prevents human immunodeficiency virus (HIV) from multiplying in your body. 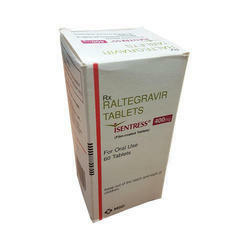 Raltegravir is used with other HIV medications to help control HIV infection. It helps to decrease the amount of HIV in your body so your immune system can work better. (&nmp)This lowers your chance of getting HIV complications (such as new infections, cancer) and improves your quality of life. Before taking Isentress, tell your doctor or pharmacist if you are allergic to it; or if you have any other allergies. This product may contain inactive ingredients, which can cause allergic reactions or other problems. Talk to your pharmacist for more details. How it worksEmtricitabine belongs to class of medication called antiretroviral medicines. It works by inhibiting the enzyme needed for DNA synthesis (nucleoside reverse transcriptase) thereby lowering the growth and decrease the amount of HIV in body. 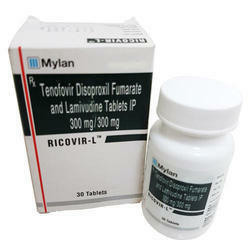 Tenofovir is an antiviral drug belonging to class nucleoside reverse transcriptase inhibitors (NRTIs). Its structure closely resembles the natural structure of viral DNA, that helps it to incorporateitself into the viral DNA. By doing so, it blocks the activity of an important viral enzyme reverse transcriptase which is involved in the replication of viral DNA, a process essential for survival of the virus. Adult: PO HIV infection; Chronic hepatitis B =18 yr: 300 mg once daily.2What are the Side Effects ? Diarrhoea, nausea, vomiting, abdominal pain, flatulence, dyspepsia, anorexia, skin rash, peripheral neuropathy, headache, dizziness, insomnia, depression, dyspnoea, asthenia, sweating, myalgia, myopathy, body fat redistribution, osteomalacia. Hypophosphataemia, raised amylase and liver enzymes, hepatitis, hypertriglyceridaemia, hyperglycaemia, neutropenia, nephritis, nephrogenic diabetes insipidus, renal impairment, proximal tubulopathy, Fanconi syndrome, immune reconstitution syndrome. Potentially Fatal: Lactic acidosis with severe hepatomegaly with steatosis; severe acute exacerbations of hepatitis B. Acute renal failure. Renal impairment, hepatomegaly or at risk for liver disease. Elderly and pregnancy. Discontinue therapy if there is a rapid rise in aminotransferase concentrations, progressive hepatomegaly or steatosis, metabolic or lactic acidosis of unknown cause. Monitor creatinine clearance and serum phosphorus routinely in patients at risk of renal impairment. Bone monitoring for patients with history of pathologic bone fracture or at risk of osteopenia. Test for presence of chronic hepatitis B virus (HBV) before initiating therapy. If tenofovir is discontinued in patients co-infected with HIV and HBV, monitor hepatic function for several mth for exacerbation of hepatitis. Monitor child exposed in utero to combination drug for possible mitochondrial dysfunction. Lactation. Not for treatment for chronic hepatitis B virus infection. Do not co-administer with fixed dose combinations containing tenofovir. 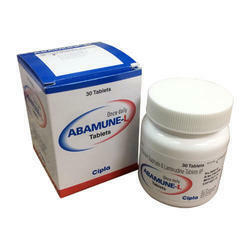 Abalam tablet price (Abacavir is used beside different medications to treat HIV (Human immunological disorder virus) infection. it’s additionally utilized in combination with different antiviral medications to stop HIV infection in folks that are exposed to it. 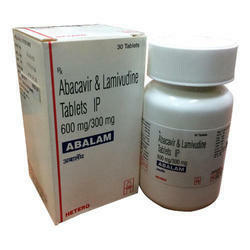 Abacavir is in a very category of medicines known as glycoside polymerase inhibitors (NRTIs). It works by decreasing the number of HIV in the blood. Abacavir comes as a pill and a liquid to require orally. it’s sometimes taken one or two occasions every day. Take it precisely as directed by your doctor. don’t take additional or but tutored by your doctor. You will take Abacavir with or while not food. try and take it at an identical time every day. If you have got been given Abacavir tablets, swallow it whole with a glass of water. If you have got issues swallowing the pill, you’ll be able to crush it. combine the crushed pill with little quantity of food or drink. Swallow it instantly when combining, don’t leave it exposed to the air for too long. Make sure that you have got taken all of the crushed pills. Use further food or drink to clean down any remainders of the crushed pill, if necessary. Let your doctor recognize if you have got issues swallowing the pill. He could also be able to advocate another, like associate degree oral resolution (a liquid). If you have got been given Abacavir oral resolution, use the pipette or activity spoon provided to live out your prescribed dose. Swallow the answer with some water. Abacavir should be taken often for it to figure well. don’t stop taking Abacavir unless tutored by your doctor. If Abacavir is stopped suddenly, your condition might degenerate and become more durable to treat. If you have got stopped taking Abacavir for many days or have antecedently been told to prevent Abacavir, don’t restart Abacavir while not 1st consulting your doctor. Headache – the symptom or throwing up. several tiny meals, smart mouth care, consumption laborious, sugar-free candy, or chew sugar-free gum might facilitate. – Loose stools (diarrhea). – Weight gain. – Not hungry. – amendment in body fat. Take a lost dose as presently as you’re thinking that regarding it? If it’s near the time for your next dose, skip the lost dose and return to your traditional time. don’t take a pair of doses at an identical time or additional doses. don’t amendment the dose or stop this drug. White, film-coated, biconvex tablets with the inscription “DVR” on one side. One tablet of Duovir contains lamivudine 150 mg and zidovudine 300 mg. Excipients – microcrystalline cellulose, sodium starch glycolate, magnesium stearate, silicon dioxide colloid, hydroxypropylmethylcellulose, titanium dioxide, talc, propylene glycol. 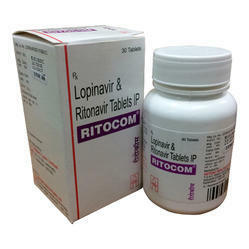 Duovir is a combined antiviral drug. Lamivudine and zidovudine, nucleoside analogues, are highly effective selective inhibitors of HIV-1 and HIV-2 replication. Lamivudine is a synergist of zidovudine relative to inhibition of HIV replication in cell culture. Active substances are sequentially metabolized by intracellular kinases to 5-mono-, di- and triphosphate. Lamivudine triphosphate and zidovudine triphosphate are substrates for HIV reverse transcriptase and competitive inhibitors of this enzyme. Antiviral activity of drugs is due mainly to the inclusion of their monophosphate form to the chain of viral DNA, which leads to its rupture. Lamivudine triphosphate and zidovudine triphosphate have a significantly lower affinity to DNA polymerases in human cells. Clinical observation shows that combination therapy with lamivudine and zidovudine slows the development of resistance to zidovudine in patients who have not previously received antiretroviral therapy.Lamivudine in combination with zidovudine reduces the amount of HIV-1 in the body and increases the number of CD4 + cells. Lamivudine in combination with zidovudine, as well as therapy that includes together with other drugs lamivudine and zidovudine, significantly reduce the risk of progression of the disease and the lethal end.Data on the increase in toxicity with the simultaneous use of lamivudine and zidovudine are absent. The drug is used inside. In adults and children over 12 years of age, Duovir is used 1 tablet 2 times a day. The drug can be used regardless of the meal. It is not recommended for patients who need dose adjustments, for example, if kidney function is impaired (creatinine clearance less than 50 ml/min), with a body weight of less than 50 kg. When Duovir is used, headache, malaise, fatigue, nausea, vomiting, diarrhea, anorexia, chills and diarrhea, neuropathy, insomnia, dizziness, symptoms, and signs of nasal mucosa damage, cough, bone and muscle pain, neutropenia are possible. This pharmaceutical is a strong nucleoside simple turn around transcriptase inhibitor (nRTI). To pick up the most advantage, don’t miss dosages. Use as you have been told, regardless of the possibility that you are resting easy. In HIV mind, this medication is regularly brought with 2 different medications. Bring with or without sustenance. Bring with nourishment on the off chance that it causes an agitated stomach. There is a fluid (arrangement) on the off chance that you can’t swallow pills. The individuals who have bolstering tubes may likewise utilize the fluid. Flush the nourishing tube previously, then after the fact this medication is given. Cerebral pain. Annoyed stomach or hurling. Numerous little suppers, great mouth mind, sucking hard, sans sugar treat, or biting sans sugar gum may offer assistance. Free stools (looseness of the bowels). Chafed pancreas may once in a while happen. Take a missed measurement when you consider it. In the event that it is near the ideal opportunity for your next measurements, skirt the missed dosage and backpedal to your ordinary time. Try not to take 2 measurements in the meantime or additional dosages. Try not to change the dosage or stop this medication. Converse with the specialist. On the off chance that you have a hypersensitivity to lamivudine or some other piece of this medication. Tell your specialist in the event that you are sensitive to any medications. Try to tell about the sensitivity and what signs you had. This incorporates telling about rash; hives; tingling; shortness of breath; wheezing; hack; swelling of face, lips, tongue, or throat; or whatever other signs. On the off chance that you think there was an overdose, call your neighborhood harm control focus or ER immediately. Indications of an awful response to the medication. These incorporate wheezing; chest snugness; fever; tingling; terrible hack; blue or dim skin shading; seizuRes; or swelling of face, lips, tongue, or throat. Bad stomach torment. Extremely annoyed stomach or hurling. Loose stools (looseness of the bowels). Any ill-advised. Symptom or medical issue is worse or you are feeling more regrettable. Some of the time drugs are not sheltered when you bring them with certain different medications and sustenance. – Taking them together can cause terrible symptoms. – Be certain to converse with your specialist about every one of the medications you take. Store in a cool, dry place far from the range of kids.Medicines must not be utilized past the expiry date. Classification C: Animal proliferation examines have demonstrated an antagonistic impact on the hatchling and there are no sufficient and very much controlled investigations in people, however potential advantages may warrant utilization of the medication in pregnant ladies regardless of potential dangers. Zepdon Tablet is used for Hiv infections and other conditions. 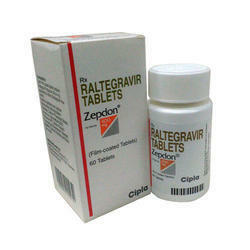 Zepdon Tablet may also be used for purposes not listed in this medication guide.Zepdon Tablet contains Raltegravir as an active ingredient.Zepdon Tablet works by inhibiting the action of an enzyme called integrase.Detailed information related to Zepdon Tablet’s uses, composition, dosage, side effects and reviews is listed below. Zepdon Tablet is a medicine that is used for the treatment of Hiv infections and other conditions.The complete list of uses and indications for Zepdon Tablet. The most commonly reported side-effects of Zepdon Tablet are hyperprolactinemia, drowsiness, dizziness, swelling of tongue or throat, nausea, and vomiting.The following is a list of possible side effects that may occur from the use of Zepdon Tablet. This is not a comprehensive list. These side-effects are possible, but do not always occur. Some of the side-effects may be rare but serious. Consult your doctor if you observe any of the following side-effects, especially if they do not go away. 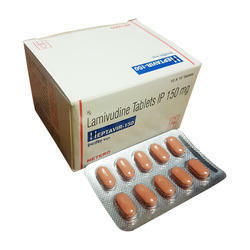 Lamivudine 300 mg Lamivudine belongs to a class of medication called nucleoside reverse transcriptase inhibitors. It decreases the amount of virus (HIV and hepatitis) in the blood. It also increases the number of infection fighting cells in the body (CD4 cells). It does not cure HIV completely but reduces the chances of getting acquired immunodeficiency syndrome (AIDS) and HIV related infections or cancer. 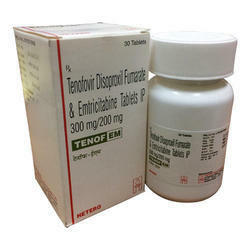 Tenofovir(300 Mg)Tenofovir is an antiviral drug belonging to class nucleoside reverse transcriptase inhibitors (NRTIs). Its structure closely resembles the natural structure of viral DNA, that helps it to incorporateitself into the viral DNA. 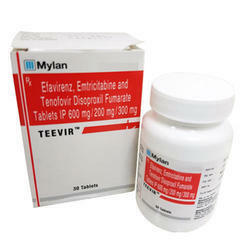 By doing so, it blocks the activity of an important viral enzyme reverse transcriptase which is involved in the replication of viral DNA, a process essential for survival of the virus.Efavirenz(600 Mg)Efavirenz belongs to a class of antiretroviral medications called non-nucleoside reverse transcriptase inhibitors (NNRTIs). It inhibits the replication of HIV, thereby reducing the amount of the virus in the blood. Tenofovir disoproxil fumarate is an acyclic nucleoside phosphonate diester analog of adenosine monophosphate. Tenofovir disoproxil fumarate requires initial diester hydrolysis for conversion to tenofovir and subsequent phosphorylations by cellular enzymes to form tenofovir diphosphate. Tenofovir diphosphate inhibits the activity of HIV-1 reverse transcriptase by competing with the natural substrate deoxyadenosine 5`-triphosphate and, after incorporation into DNA, by DNA chain termination. Tenofovir diphosphate is a weak inhibitor of mammalian DNA polymerases alpha and beta, and mitochondrial DNA polymerase gamma. The pharmacokinetics of tenofovir disoproxil fumarate has been evaluated in healthy volunteers and HIV-1 infected individuals. Tenofovir pharmacokinetics is similar between these populations. 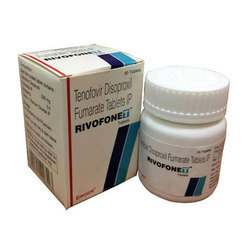 Absorption: Tenofovir disoproxil fumarate is a water soluble diester prodrug of the active ingredient tenofovir. The oral bioavailability of tenofovir from tenofovir disoproxil fumarate in fasted patients is approximately 25%. Following oral administration of a single dose of tenofovir disoproxil fumarate 300 mg to HIV-1 infected patients in the fasted state, maximum serum concentrations (C max ) are achieved in 1.0 ± 0.4 hrs. C max and AUC values are 296 ± 90 ng/mL and 2287 ± 685 ng·hr/mL, respectively. The pharmacokinetics of tenofovir are dose proportional over a tenofovir disoproxil fumarate dose range of 75 to 600 mg and are not affected by repeated dosing. Effects of Food on Oral Absorption: Administration of tenofovir disoproxil fumarate following a high-fat meal (~700 to 1000 kcal containing 40 to 50% fat) increases the oral bioavailability, with an increase in tenofovir AUC of approximately 40% and an increase in C max of approximately 14%. However, administration of tenofovir disoproxil fumarate with a light meal did not have a significant effect on the pharmacokinetics of tenofovir when compared to fasted administration of the drug. Food delays the time to tenofovir C max by approximately 1 hour. Distribution: In vitro binding of tenofovir to human plasma or serum proteins is less than 0.7 and 7.2%, respectively, over the tenofovir concentration range 0.01 to 25 μg/mL. The volume of distribution at steady state is 1.3 ± 0.6 L/kg and 1.2 ± 0.4 L/kg, following intravenous administration of tenofovir 1.0 mg/kg and 3.0 mg/kg. Metabolism and Elimination: In vitro studies indicate that neither tenofovir disoproxil nor tenofovir are substrates of CYP450 enzymes. Following IV administration of tenofovir, approximately 70-80% of the dose is recovered in the urine as unchanged tenofovir within 72 hours of dosing. 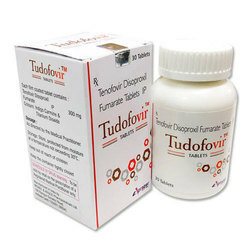 Following single dose, oral administration of tenofovir disoproxil fumarate, the terminal elimination half-life of tenofovir is approximately 17 hours. After multiple oral doses of tenofovir disoproxil fumarate 300 mg once daily (under fed conditions), 32 ± 10% of the administered dose is recovered in urine over 24 hours. 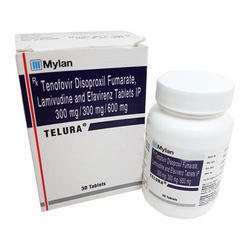 Tenofovir is eliminated by a combination of glomerular filtration and active tubular secretion. 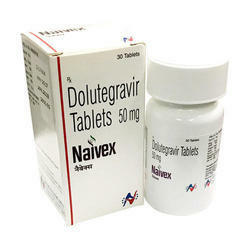 Buy Naivex Tablets (Dolutegravir) is utilized with other HIV meds to help control HIV disease. It diminishes the measure of HIV in your body so your insusceptible framework can work better. Read the Patient Information Leaflet if accessible from your drug specialist before you begin taking dolutegravir and each time you get a refill. On the off chance that you have any inquiries, ask your specialist or drug specialist. Take this pharmaceutical by mouth with or without sustenance as coordinated by your specialist, more often than not 1 to 2 times every day. Take this prescription no less than 2 hours earlier or 6 hours in the wake of taking sucralfate and items containing aluminum or magnesium, (for example, stomach settling agents, diuretics, supported meds). 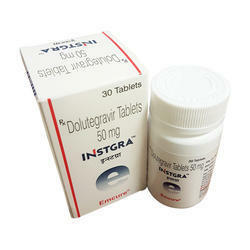 These items tie with dolutegravir, diminishing its adequacy. On the off chance that you are likewise taking calcium or iron supplements (counting vitamins/minerals that contain calcium or iron), take dolutegravir no less than 2 hours earlier or 6 hours after these items. Or, then again you can take dolutegravir and calcium or iron supplement together in the meantime with nourishment. The dose depends on your medicinal condition, reaction to treatment, age, and different pharmaceuticals you might take. Make certain to inform your specialist and drug specialist concerning every one of the items you utilize (counting doctor prescribed medications, nonprescription medications, and natural items). In kids, the measurement is additionally in light of weight. It is critical to keep taking this prescription (and other HIV medicines) precisely as recommended by your specialist. Try not to skirt any measurements. This solution works best when the measure of medication in your body is kept at a steady level. Along these lines, take this medication at uniformly separated interims. To enable you to recollect, take it at the same time(s) every day. A migraine and inconvenience resting may happen. On the off chance that any of these impacts continue or compound, tell your specialist or drug specialist immediately. Keep in mind that your specialist has recommended this pharmaceutical since he or she has judged that the advantage to you is more prominent than the danger of reactions. As your resistant framework gets more grounded, it can start to fend off contaminations you as of now had, potentially making malady side effects return. You could likewise have side effects if your insusceptible framework ends up plainly overactive. This response may occur whenever (not long after in the wake of beginning HIV treatment or numerous months after the fact). unexplained weight reduction, extreme tiredness, muscle hurts/shortcoming that doesn’t leave, cerebral pains that are serious or don’t leave, joint torment, deadness/shivering of the hands/feet/arms/legs, vision changes, indications of disease, (for example, fever, chills, swollen lymph hubs, inconvenience breathing, hack, non-mending skin injuries), indications of an overactive thyroid, (for example, fractiousness, apprehension, warm narrow-mindedness, quick/beating/sporadic pulse, protruding eyes, unordinary development in the neck/thyroid known as a goiter), indications of a specific nerve issue known as Guillain-Barre disorder, (for example, inconvenience breathing/gulping/moving your eyes, hanging face, loss of motion, inconvenience talking). Viraday tablets (efavirenz, emtricitabine, and tenofovir) area unit a hard and fast dose combination treatment for Human immunological disorder Virus (HIV) infection in adults over age eighteen. Viraday tablets area unit accustomed treat HIV patients WHO have already received treatment with different HIV medications and have well-versed all medications prescribed; they will even be used alone as monotherapy or together with different HIV medications. HIV impairs the system by offensive specific immune cells known as CD4+ cells that area unit concerned in fighting infection, which might cause opportunist serious infection (infections that may not commonly be harmful); additionally if too several CD4+ cells area unit destroyed this will end in nonheritable immune deficiency syndrome (AIDS). Viraday tablets forestall or hamper the flexibility of HIV to copy and unfold, that keeps the number virus all the way down to a coffee level and this ends up in a rise in helper cell numbers, so the system will recover, reduce the chance of unwellness progression. Viraday tablets contain a mix of 3 antiretroviral medication, efavirenz, emtricitabine and tenofovir disoproxil fumarate, that area unit solely effective against ribonucleic acid viruses (retroviruses) like Human immunological disorder Virus (HIV). This 3 medication every work by inhibiting the action of the viral-specific accelerator polymerase (RT) that is required for the virus to be ready to replicate. Retroviruses convert ribonucleic acid to DNA, that is then integrated into the DNA of infected immune cells so the virus will replicate. Efavirenz could be a non-nucleoside polymerase matter (NNRTI) and acts by binding to a particular website on the RT accelerator and blocks its action during a manner that’s cooperative with nucleosides, that area unit the precursors to the building blocks of DNA and ribonucleic acid. Tenofovir and Emtricitabine area unit each glycoside analogue polymerase inhibitors (NRTI), which suggests that they block the action of RT by competitory with one among the nucleosides required to transcribe the infective agent ribonucleic acid into DNA, turning into incorporated into the chain of freshly synthesized infective agent DNA and preventing it from growing (chain termination). Emtricitabine is Associate in Nursing Associate in Nursingalogue of nucleoside and tenofovir is an analog of a nucleoside. The combined action of the 3 antiretroviral medication in Viraday tablets prevents the combination of the virus into the DNA of the infected CD4+ immune cell, that inhibits the replication of HIV so no a lot of virus are often made and this reduces the infective agent load (amount of virus). 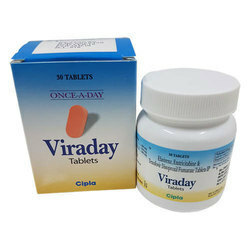 Viraday tablets hamper the replication of HIV inside your body, however, doesn’t kill the virus already incorporated within the CD4+ cells or forestall the unfold of the infection to others. Tenvir-EM, manufactured by the Indian company Cipla, is a generic drug of all known medicines from the USA. 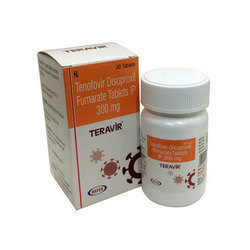 Tenvir includes two active antiviral substances Tenofovir (300 mg) and Emtricitabine (200 mg). 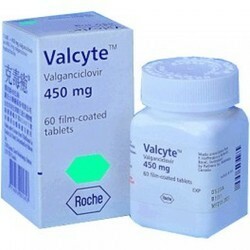 The medication is licensed and approved by doctors around the world to cure the human immunodeficiency virus (HIV). They also recommend buying it and applying it to patients with AIDS in the early stages. 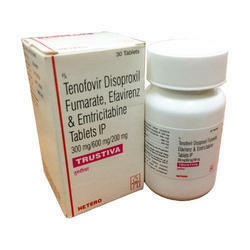 Thanks to the active antiviral components Tenofovir and Emtricitabine, the biopreparation, getting into the patient’s body Tenvir-EM begins to withstand the virus, reducing the quantitative value of the infected bodies and hampering the future development and replication of the microbe in the body of the infected. Research and laboratory testing have shown its positive impact and a positive response to treatment, However, it is recommended to buy and use the analog of only after making a diagnosis and handing out the necessary analyzes and examinations for infectious disease doctors. The price for the Tenvir-EM is much lower than that of the official, but the effectiveness of the existing carnets Emtricitabine and Tenofovir is absolutely the same in it, the difference is only in the country of the manufacturer. The medication should be applied orally (by swallowing the pill) into the inside preferably on an empty (hungry) stomach, washed down with ordinary fresh water. The standard and recommended dosage of the pharmaceutical is 1 pill per day. Adjustment is possible only by the doctor, based on your personal data examination for diseases of the kidneys, liver or adrenal glands. Proceeding from this it is necessary to be sure of the diagnosed diagnosis, and accordingly, to buy and apply the medicinal product it is necessary only from the instruction of the attending physician, and not to engage in self-medication. 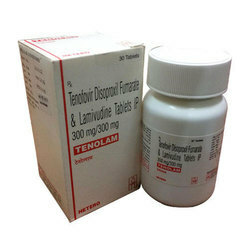 Treatment with the Tenvir-EM medication (Tenofovir and Emtricitabine) does not prevent the possibility and risk of infection or transmission of HIV during the entire rehabilitation, so be careful and careful not to infect another person. If a patient who is taking Hepatitis B medication with a drug is detected, it is not advisable to use it and is not recommended by doctors, since this can have a detrimental effect on the general state of health. In the course of the studies, they were seen in a small number of subjects, but they can be detected both at the beginning and at the end of treatment and before acquiring the generic one should familiarize with them: mild fatigue and malaise; headaches or migraines; disorders of the digestive tract nausea with attacks of vomiting; an allergic reaction or a rash on the body.